My wife took my kids and left. That sounds a bit more dramatic than the situation actually is. You see our daughters have Spring Break this week. So Anita decided to hop over to Atlanta with the kids and spend some time with her family for the week. The girls will be in our neice's wedding in a couple of months so the final fittings and all needed to be done as well. Unfortunately I was unable to accompany them on this trip. So what does a fella do with an empty house for a week? There has been plenty of television watching and Oreo eating, but I actually accomplished a good bit too. 3. Fixed a shelf in the girl's closet. 4. Fixed the ottoman in my son's room. 5. Fixed the dining room table. 6. Steam cleaned the living room carpet. 8. Went to see Hunger Games. 9. Built a shelf in the garage. 11. Watched a soccer tournement. Now, if you actually read the list I'm sure that was more info than you cared to know. But I just wanted to celebrate some accomplishments. It's a good feeling to look back and see you were filling the hours with more than just internet and television. 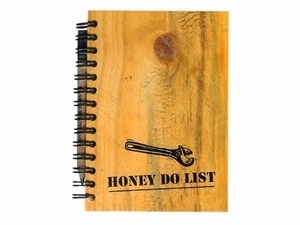 So what's on your "Honey Do List?" I had a meeting recently that helped remind me of a few things. Focus not only helps you improve and align what you're working on but it has an effect not many of us notice. When a person lives and works inside a defined set of ideals and passion it's easy to foget where others live. During my recent discussion I was explaining what has become a filter for almost everything I do in ministry. While we all agreed on the importance of what was being shared, there was something holding people back from fully buying in on the idea. That something I decided was exposure and experience. You see each of us was simultaniously experiencing the same frustration. I live in my world; he lives in his. We are in agreement on many subjects, but what is most important to one was merely an ingredient to the other and vice versa. The importance of this "agree to disagree" scenario can not be understated. I believe this may be one of the biggest sources of division in many ministry circles. This can most likely be applied in the local church as well. Here in lies the importance of alignment. Support, encourage and partner with each other whenever possible. But when you're not aligned and can not partner, don't sever relationships. Simply work harder at support and encouragement. If each ministry, church or organizational leader took the time to identify where some of these alignment issues are in his or her sphere of influence there could be a great deal of healing.